With Ant checked back into rehab and their marriage over, why cant Lisa Armstrong let go of her soon-to-be ex husband? To say its been a tough year for Ant McPartlins estranged wife Lisa Armstrong would be an understatement. The make-up artist, who works on shows such as Britains Got Talent and Strictly Come Dancing, has remained relatively under the radar since splitting from Ant in January. But now, with Ants life spiralling out of control and another stint of rehab on the cards, its emerged that Lisa went to hell and back for two years prior to their split. So why cant she let go of their marriage? While news of Ants prescription drug and alcohol addiction came as a shock to the nation last year, his wife, Lisa, knew all too well what he was going through. After his troubles were thrust back in the limelight last month, a close friend of Lisas claims she tried to save Ant, 42, before things got out of control. Lisa told me shes been through hell for the last two years, the insider explains. She wasnt sure if her marriage would survive, but she stood by him to try and save him. A tweet liked by Lisa, 41, shows that she feels Ant is in self-destruct mode. The fan wrote: Feel bad for @lisaAmakeup must be so hard watching someone you care about self-destruct before your eyes and not be able to do anything about it… Big love and respect to you Lisa X. It has been so hard for her, the friend adds. Ant has been in such a bad way that she often feared the situation would be untenable. Despite everything, Lisa, who refuses to remove her wedding ring, is struggling to come to terms with the fact their 11-year marriage is over. A source close to Lisa exclusively told Woman, She isnt ready to take her ring off – in her eyes that would mean admitting her marriage is over for good – and shes just not there yet. In fact, Lisa has told close pals she thinks Ant will come running back to her and the pair will get back together. She thinks the fact hes now hit rock bottom will push him back to her and that he wasnt thinking straight when he filed for divorce. Lisa thinks that, deep down, he wants her back and once hes out of rehab, they can rekindle. A picture of her, Ant and their dog still sits on her Twitter page. Lisa really thinks she could have helped to save him… the friend says. But those close to Ant insist their struggling marriage was only making his problems worse. 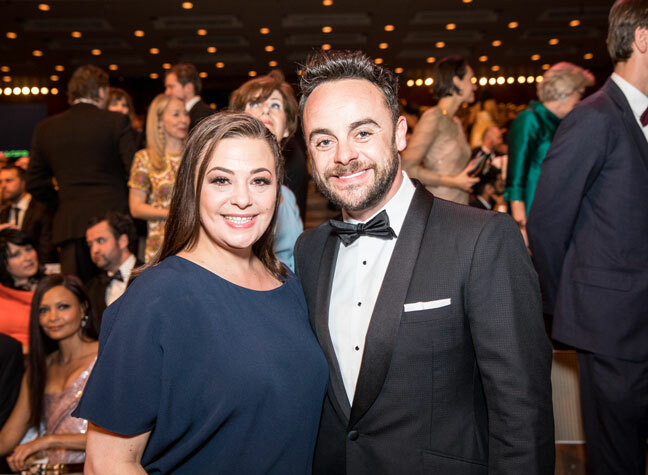 The pair were together for 24 years before Ant called time on their marriage and, despite his demons, which caused mood swings and depression after a botched knee op, she stood by him. The insider adds, It was clear there were problems that were getting her down, but she didnt want to give up on Ant. While Ant was said to be re-evaluating their marriage once he returned home from rehab in 2017, Lisa was determined to save it. A tweet liked by her reiterates these feelings: You will come through the darkness and be brighter and stronger than you went in… Youve done absolutely nothing wrong apart from be a loving wife. Our insider says, Lisa cant help but cling to happy memories and the dream that somehow things could be different. To add to Lisas heartache, Ants best friend, Declan Donnelly announced two weeks ago that he and wife Ali Astall are expecting their first child. Its no secret that struggling to conceive caused friction in Ant and Lisas marriage. In 2013 Ant admitted, Wed love to have kids. Its tougher than you think when you get a bit older. But Lisa showed her support for Ants on-screen partner by liking the tweet that revealed they were delighted to be expecting their first child, for which fans have labelled Lisa: dignified, gracious and brave. Our source says, In spite of all hes put her though… Lisa still loves Ant and itll be a long time before that changes. Were thinking of you, Lisa! The post Inside Ant McPartlins estranged wife Lisa Armstrongs two years of hell appeared first on Woman Magazine.